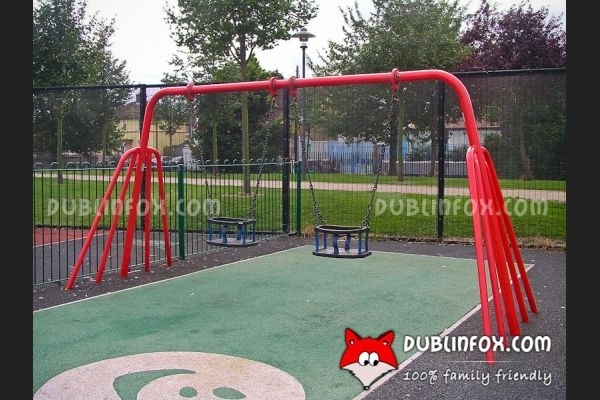 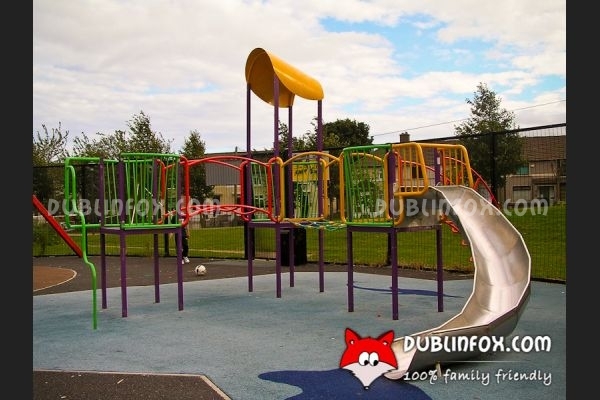 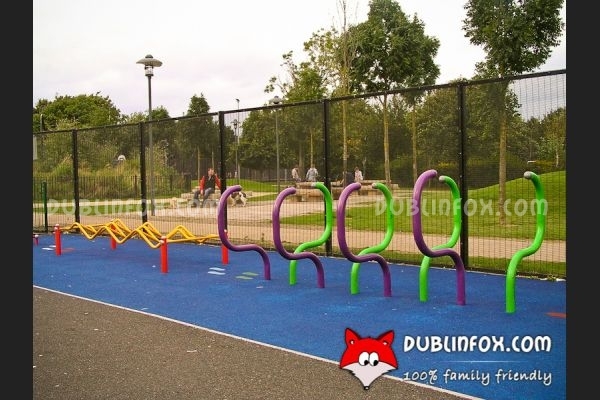 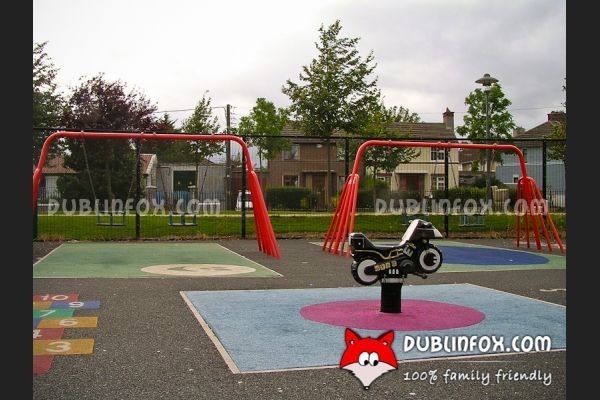 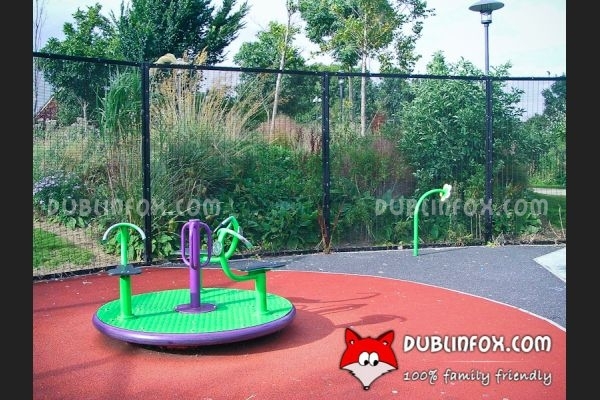 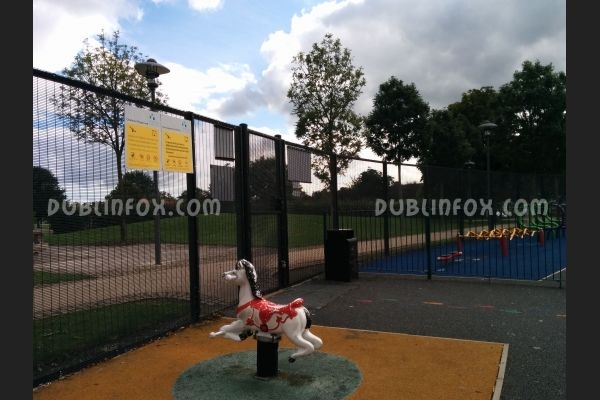 Markievicz Park playground consists of two separated areas: a junior and a senior section. 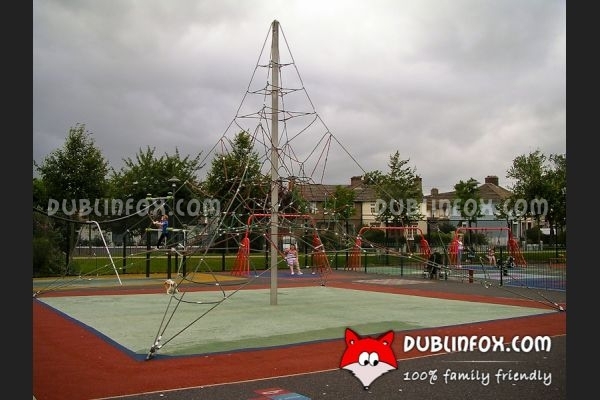 In the junior area there are four baby swings, a quick merry-go-round, two springers, a massive multi play unit, a see-saw and a pair of talking tubes, whereas the senior section comprises a modern zip wire, several balancing structures, a climbing net unit, a multi play unit and a climbing frame. 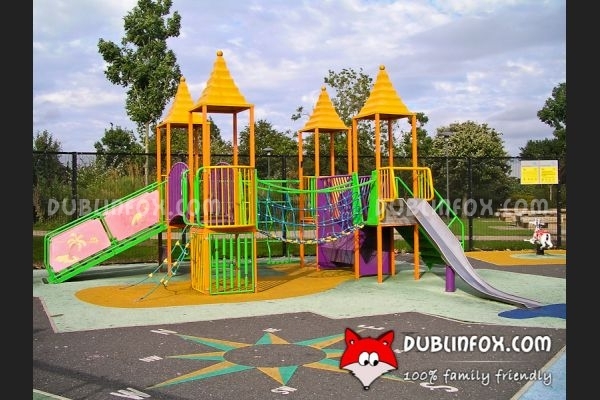 The playground itself is middle-sized, modern and well-equipped and although when we visited it was a bit busy, it was not painfully so. 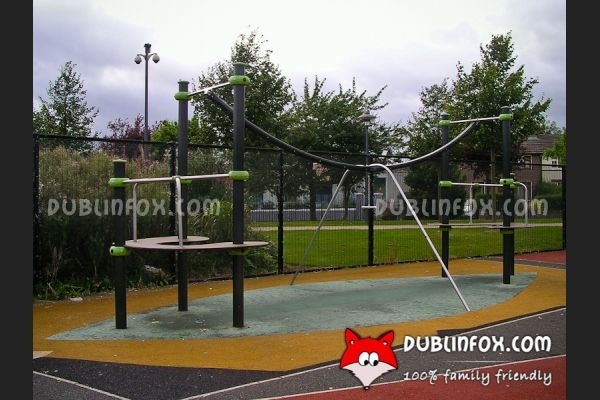 Click here to open Markievicz Park's website in a new window.